I was behind this woman for a while this morning and I’m surprised she even has a licence. Her driving and behaviour is horrendous. The main reason I am writing this is because it got worse at a roundabout honestly I’m surprised the person whose car she nearly hit didn’t get out and whack her one because I was close to doing it myself. She pulled out onto a roundabout where a car was waiting because of traffic lights, nearly hit the other persons car and then proceeded to swear at the other woman. She was sat stationery at this roundabout before and for no reason had road rage and nearly wrote another persons car off. There is never an excuse for this. I am hoping the other person reports this but if they didn’t get the reg number I sure did. If I was the insurance company for this “woman” I would recommend a dash cam, from, back and internally as her swearing was just awful. 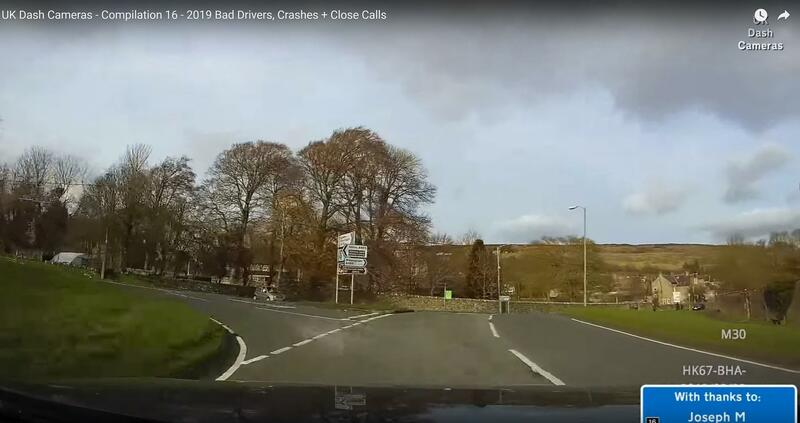 If the person whose car she nearly wrote off sees this please comment as I am more than happy to provide my dash cam footage of the incident. Good reaction from the driver as Give Way sign is missing!